Influence of Hugo Chavez was felt throughout the region around Venezuela; from small Caribbean islands to Nicaragua in Central America, emerging energy economies such as Ecuador and Bolivia. He even found support from the left leaning governments of the South American giants such as Brazil and Argentina. Chavez helped Argentina when it was struggling to recover from a massive debt default by buying billions of dollars of bonds to bail it out of economic crisis. “When the crisis of 2001 put at risk 150 years of political construction, he was one of the few who gave us a hand,” Anibal Fernandez, a former Cabinet chief in Argentina’s Government, said on Twitter. According to a Nicaragua’s Central Bank report, Venezuela provided $2.4 billion in financial assistance to Nicaragua between 2008 and the first quarter of 2012. This amounts to a huge money for a country like Nicaragua whose total economy was worth only $7.3 billion in 2011.Venezuela provides oil on highly preferential terms to 17 countries under his Petrocaribe initiative, and it joined in projects to produce and refine oil in nations such as Ecuador and Bolivia. 17 countries around Venezuela gained privileged benefits under Hugo Chavez’s Petrocaribe program, which includes Antigua and Barbuda, the Bahamas, Belize, Cuba, Dominica, Dominican Republic, Grenada, Guyana, Jamaica, St Lucia, St Kitts and Nevis, Saint Vincent and the Grenadines, Suriname, Venezuela, Nicaragua, Guatemala, and Haiti. In this program Venezuela gave 10% of its crude oil production to these member states in generous terms. In this program, member states were allowed to purchase of oil on market value for 5%-50% up front with a grace period of one to two years; the remaining amount could be paid through a 17-25 year financing agreement with 1% of interest if oil prices are above US$40 per barrel. Venezuela’s one of the biggest ally, Cuba gets two-thirds of its oil from Venezuela, which accounts to nearly 100,000 barrels of crude oil a day in exchange for the services of 44,000 Cuban professionals, most of them medical personnel. Providing crude oil and some investment, Hugo Chavez helped Cuba emerge from the biggest set back which it got after the collapse of Soviet Union, its top ally, in 1991. 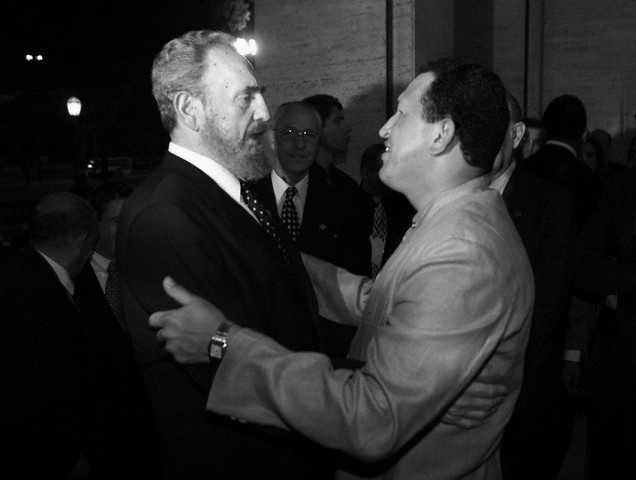 Chavez was completely against any foreign intervention in any of the country in the region. Chavez criticized the way western markets were dominating the markets. Chavez believed in the potential of the countries in South America, and visualized that they can progress and stand confidently if worked together. For this reason he accelerated the creation of international unions aimed at regional integration and reducing US influence. ALBA, The Bolivarian Alliance for the Peoples of Our America (Spanish: Alianza Bolivariana para los Pueblos de Nuestra América, or ALBA) is the leftist bloc consisting of Antigua and Barbuda, Bolivia, Cuba,Dominica, Ecuador, Nicaragua, Saint Vincent and the Grenadines and Venezuela as permanent members. Suriname and Saint Lucia became the guest member of the Union at the February 2012 summit. ALBA nations introduced a new virtual regional currency, SUCRE intended to replace US dollar as the trading currency between the member states.On July 6, 2010, Venezuela and Ecuador conducted the first bilateral trade deal using the new currency. The plan is to make it a hard currency soon. Celas, Community of Latin American and Caribbean States, is the group consisting of all of the Americas except the United States, Canada and the European territories in the Americas. The community was formed to deepen the integration within Latin America and reduce the influence of U.S. on economics and politics of Latin America. Brazil has a different ideology and a model of its economy. One of the biggest economy of the region which is welcomed and accepted by all the nations including U.S. Brazil has the capability of leading the region after the death of Hugo Chavez, however Brazil cannot lead the countries on his line. However Brazil is in the perfect position to connect Latin America with the Western world as a responsible nation. Despite the countries like Peru, Mexico and Uruguay instead of supporting Chavez model are opting for the the Brazilian model of support for the private sector, fiscal discipline, and social inclusion, Venezuela and Brazil share close and helping relationship. The cooperation between the two countries has been in the form of mutual development and economic help. In 2001, the two countries opened a high-voltage power line between them. Venezuela supplied electricity to the energy starved northern region of Brazil. Brazil gets cheap hydro-electricity power through this line and Venezuela receives tens of millions of dollars every year. Venezuela’s state oil firm PDVSA owns 40% of refinery built together in Brazil. Brazil’s national oil firm Petrobras holds the rest of the stakes. Venezuela shares good relations with Russia from the Soviet times, the relations grown even better when Venezuela became the third nation to official recognize the independence of Abkhazia and South Ossetia. 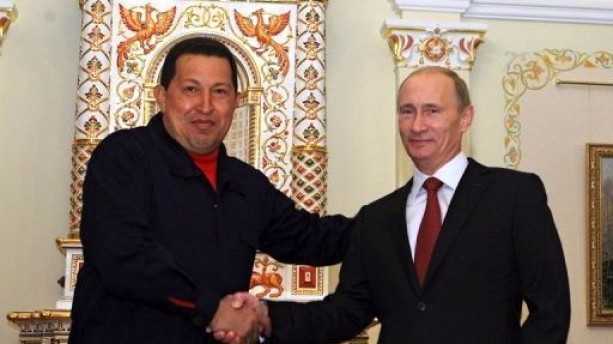 In September 2009, Russia approved a loan of $2 billion to Venezuela for arms and in In October, 2010, Russia and Venezuela signed a deal in Russia to build Venezuela’s first nuclear power plant. Russia and Venezuela also conducted naval exercise in the Caribbean, which was seen by US as the response for its support to Georgia in the Russo – Georgia war in 2008 according to some analysts. Venezuela reached out to India knowing its potentiality to become a future super power. India became one of the alternative market for Venezuelan oil, whose largely buyer is U.S. Outgoing Ambassador to Venezuela, Deepak Bhojwani said, “we are among the few countries that can process Venezuelan crude oil. This gives us a strategic advantage.” Venezuelan crude is of an inferior quality to Middle East crude. It is heavier and contains more sulphur, requiring special processing. India’s state run crude exploration company ONGC Videsh Ltd (OVL) also helped certify heavy oil reserves in the Orinoco river belt, which expected to contain 235 billion barrels of heavy crude. In the year 2010, A consortium led by Indian state-owned oil companies also won a global bid to claim 40% stake in an important oil block in Venezuela, giving India the capability of producing 400,000 barrels of crude oil per day in its peak time. India’s pharmaceutical sector also has a large presence in Venezuela. Cipla has 120 medications approved to market in Venezuela, and made nearly $15 million in revenue the year 2006. In the same year half of all HIV patients in Venezuela received at least one Cipla drug. Venezuela’s is China’s biggest investment destination in the Latin America and China was the receiver of 6% of total Venezuelan crude output in 2010. The trade between the two countries was mere $500 million per year in 1999, which increased to $7.5 billion in the year of 2009. China helped Venezuela set up its first cell phone factory. 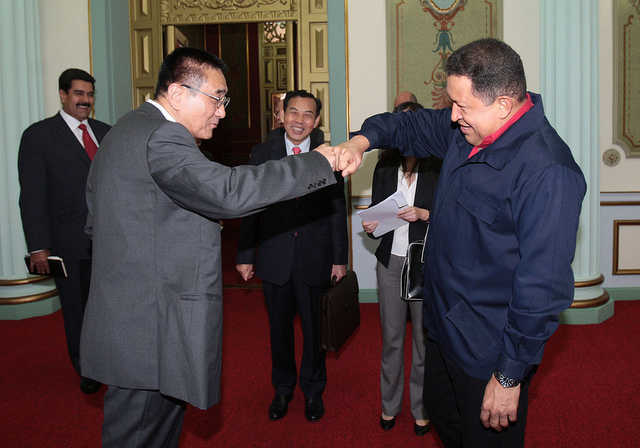 Also in 2009, China and Venezuela teamed up in partnership to launch a railway company in Venezuela, 40% controlled by the China Railways Engineering Corporation and the remainder by Venezuela. Venezuela and the United States have been difficult and even hostile since Chavez assumed the office in and began to implement the “21st – century” socialism in 1999. 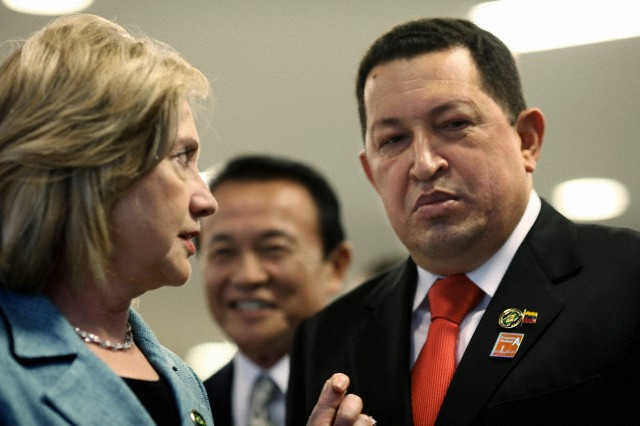 Chavez even blamed United States of attempting a failed coup against him in 2002, he nationalized U.S. companies in Venezuela and openly supported the countries which were hostile to United States and its interest like Iran and Syria. Speaking strong words against America in Radio and Television made him popular as he took the world’s superpower very bravely. Even after hating America so much, he kept the important business with America intact. Throughout the time when Chavez controlled the office in Venezuela, United Sates remained an important trading partner. Venezuela is also the fourth largest supplier of oil to the U.S.
United States’ crude oil import is more from Venezuela and Mexico when compared to the entire Persian Gulf which is one of the biggest oil market in the world. “We do three times more business with Latin America than with China and twice as much business with Colombia [as] with Russia,” an Obama official told Julia Sweig of the US Council on Foreign Relations as quoted by the Guardian. Between 1998 and 2009 a massive trade growth by 82% between the US and Latin America was recorded. Alone in 2011 the exports and imports rose steeply by 20% in both the directions. Analyzing a favourable trade condition between Venezuela and the US, there are good chances for both the countries to improve their relations and collectively grow along with other countries of Latin America. If Obama can lift the travel restrictions and trade embargo on Cuba, the move will be applauded. 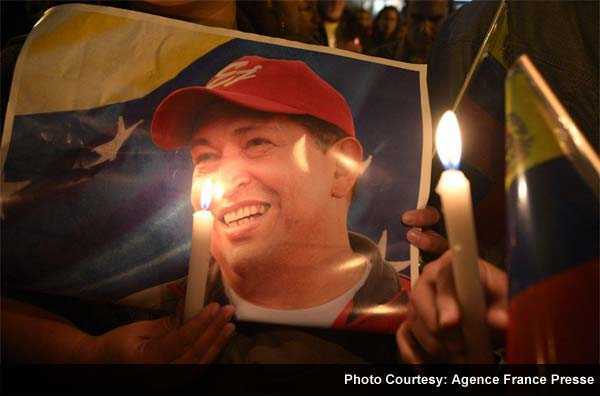 Also Read: Hugo Chavez; His Policies and Who Will Fill the Gap in Latin America? Hugo Chavez; His Policies and Who Will Fill the Gap in Latin America? As an oil-rich nation in one of the most oil-rich areas of the world, Kuwait has always been a nation capable of generating a huge amount of money relative to its size. As a result of the money the central government makes from oil sales, it has instituted one of the most comprehensive and generous welfare systems in the world. The country’s welfare system is built upon the principle that the nation’s wealth should be shared among the people. In addition to oil, there are a few other valuable natural resources that Kuwait profits from. The money that the state generates from all of these commodities more or less guarantees that every citizen is able to live a comfortable life. The government of Kuwait subsidises basic services such as telephone lines, water, electricity, etc. Meanwhile, local cooperatives are able to provide food to other citizens at a greatly reduced price. Medical care and education are both free. Kuwait is also one of the few countries that consider a job and a home to be a basic constitutional right. Kuwait’s social pension system features three unique characteristics, which set it apart from most. First of all, there is the way that it is financed. Contributors and employers contribute 60% to the total, while the government covers the remaining 40%. Many analysts, including Al-Rajaan, consider this to be the primary reason why the Kuwaiti pension scheme is one of the best in the world. The second important feature of the Kuwaiti pension scheme is that it is fully funded. This means that the scheme is kept sustainable and solvent. In many other countries, state pension funds are paying out money as fast as they can get it in, creating uncertainty for the future. Finally, there is the fact that the Kuwaiti pension fund pays out very generously. Once citizens reach the age of 30, the coverage increases to 95% of salary. This is much higher than the rates available in many other countries. Kuwait also has a generous retirement age of 50. The Kuwaiti welfare system is a prime example of the potential power of redistribution of wealth. The Kuwaiti welfare system is based on a simple principle, that the fruits and assets of a nation should be shared equally among its citizens. Many people argue against more generous welfare systems on the basis that they represent a drain on resources, to benefit the few at the cost of the many. The Kuwaiti system stands as evidence that it is possible to institute a very generous welfare program, while still encouraging economic growth and prosperity. The unpreparedness of the human race has slowly but steadily come to the surface over the previous decade when it comes to ensuring our own survival and more importantly, that of the following generations. Before we even attempt to realize the impacts of climate change that are thrown into the faces of some community who then serve as the unfortunate examples of what’s going to happen, another repercussion pops up into the frame at the cost of another unsuspecting community, a country, or even a city. The city of Cape Town in South Africa serves as the most recent of those examples, and the crisis in the city bodes an ultimatum like never before to other thriving cities on the planet: mend your ways or follow suit. The event currently underway in Cape Town could be aptly described as probably its worst drought in nearly a century, one that has seen its people and authorities struggle to obtain water in the wake of depleting natural sources in order to sustain even their daily hygiene rituals. The city is quickly closing in on what has been dubbed as “Day Zero“: the day when the city will run out of its water. When that happens, it would be the first occurrence of such an event for a major global city. “Day Zero”, originally estimated to occur on April 22, was more recently moved up to April 12 with Cape Town’s 4 million strong population finding it difficult to adjust to the demands of reduced consumption. A point of no return, is it? Despite the comments of the mayor, it can be safely mentioned that many people of the city are realizing the weight of the crisis, and have begun to get creative with the different ways in which they can collect and reuse water in order to restrict their consumption to the stipulated limit and escape hefty fines. Long queues to purchase bottled water for household consumption in supermarkets has also become a common sight over the weeks. Former mayor Helen Zille, who will also direct the disaster management response on the arrival of Day Zero has sounded hopeful, going so far as to say that Day Zero can be avoided should everyone realize the implications and make a concerted effort towards conserving water. “That is not difficult if we all put our minds to it in our homes and in our workplaces,” she said of the situation. Ms. Zille, along with other officials have provided tips to the people for saving water and getting the maximum use out of the water that they use: turning off the taps of toilet cisterns and using the grey water from washing in the toilets instead and showering less often. “No one should be showering more than twice a week at this stage. You need to save water as if your life depends on it because it does” were her words. The crisis that the people in Cape Town are facing is not sudden by any standards. In fact, first warnings against the occurring were given out in the 1990s which were largely ignored. One main factor identified behind the crisis and its scale is the city’s population of about 4 million individuals, which has seen a high rate of growth over the years and is still growing strongly. Coupled with the drought that the population is currently facing, the strain on the resources for water has increased. South Africa hasn’t received sufficient rainfall for three years now. The drought in turn arises from climate change and the El Nino effect. There are six dams that supply water to the city and are currently 25.8 per cent full. The figure stood at 85% in 2014 and 38.4% a year ago. On the dawn of Day Zero, Capetonians would be allowed just 25 litres of water per person a day, or roughly 7 gallons. To put that into perspective, you can take the average amount of water that Americans use: 80 to 100 gallons. A single flush of a toilet amounts to 2 gallons, and a 90 second shower could use up 4 gallons. To keep the restrictions in check, most taps in the city would be switched off and residents will have to get their daily share of water from any one of 200 allocated points in the city. Plans are also being made to store emergency water in military installations. The sooner the city head towards Day Zero, the sooner Capetonians will need to prepare for a new lifestyle, one that is significantly astray from that of entitlement that we all are living in right now. The crisis in Cape Town is a crystal clear warning to us, and one that will likely be not be given the consideration it is due. In theory, all 195 states adhere to the Charter of the United Nations and therefore pledge “to establish conditions under which justice and respect for the obligations arising from treaties and other sources of international law can be maintained”. In other words, to play the game and adhere to basic governmental principles. That’s in theory: in practice, a handful of states in the world behave like mafias, and get away with it. Not to forget that States are not all mutually recognized and accepted, some of them are self-proclaimed. While some do indeed strive to carry out their stated mission and serve the people they claim to represent, some other are merely mafia groups with a political cover, which deal in various traffics and racketeering. Bordering Morocco, Algeria and Mauritania, lies Western Sahara, where a group named the Polisario Front announced to the world that it was the shield of the Sahrawi people, who originate from the arid strip of land, with the stated intent of creating a sovereign state. But that must be put into perspective with the endless list of allegations and accusations carried against it, regarding the Polisario’s management of refugee camps in Algeria for example. The self-proclaimed government of the Sahrawi – namely the SADR (Sahrawi Arab Democratic Republic) – is known for keeping the refugees captive in the camps, or keeping family members as hostage to guarantee men’s returns, maintaining a general state of violence and lawlessness within the compound. In addition, the European Anti-Fraud Office (OLAF) has serious doubts (5) as to what becomes of the humanitarian aid it sends. It suspects not only the food to be sidetracked and sold on the black market, but also to be requested in excessive numbers – the Polisario front claims it holds up to 200 000 refugees but has systematically refused census, leading humanitarian donors to believe the figures are doubtful. Can this be avoided? Hardly, at the general level. Pablo Escobar coined the phrase which underlies the entire system : Plata o plomo (silver or lead). Officials could be paid off to keep silent and play along, or be shot. Therefore, it is in the nature of corruption systems to maintain themselves because, should a “pure” official arise, he will be removed and replaced by a more complacent one. Mafia states use the cover of darkness or, better still, a politically activist stance. The Colombian FARCs – Polisario’s allies, incidentally… – and the Medellin Cartel, run by Pablo Escobar, had an intense PR activity with many “social and humanitarian” poses, to help improve their public image and stymie political push-backs. The Polisario Front has moved much of its assaults to the judicial level, in a new form of “civilized” piracy, including with the surprise attempt to seize a Moroccan shipload earlier this year in South Africa. “The conclusion of this case will actually tell us whether it is now conceivable, on the judiciary level, that international shipping industry – which carries 90% of global trade – become hostage to some form of unprecedented and increasingly vicious political piracy,” wrote Philippe Delebecque (6), a French judge specializing in maritime affairs. Mafia states are here to stay, because the mafia creates the state, and not the other way around. Once the mafia has developed its tentacles and political power enough, it will make kings and topple uncooperative administrators. Other states in the world are fully aware of this fact, and that if they bust a mafia-state, another will replace it within weeks. So, in the best cases, neighboring countries let it be; in the worst cases, they get involved in the graft.